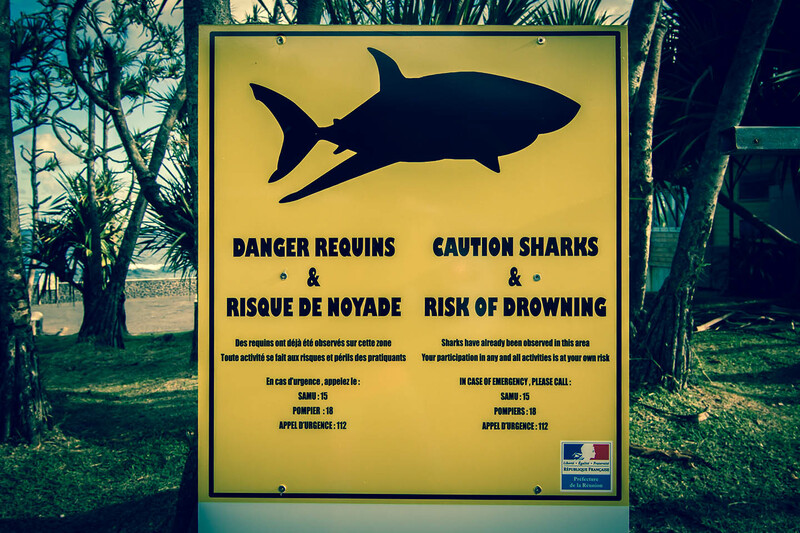 A rising number of fatal shark attacks around La Réunion has led to a public discussions calling the authorities for action. In a state of not having a real solution the government considers killing a great number of sharks, despite everyone knows that this will not solve the problem. Positions are becoming more and more entrenched with people afraid La Réunion will lose its tourist reputation on the one side and environmental organizations and like-minded persons on the other. Ever since people inhabited La Réunion there have been sharks and there always has been some sort of arrangement. The reasons for the drastically increase in fatal attacks are not clear to the point. Some people blame it on open water fish farms, attracting sharks, calling them closer to the beaches. 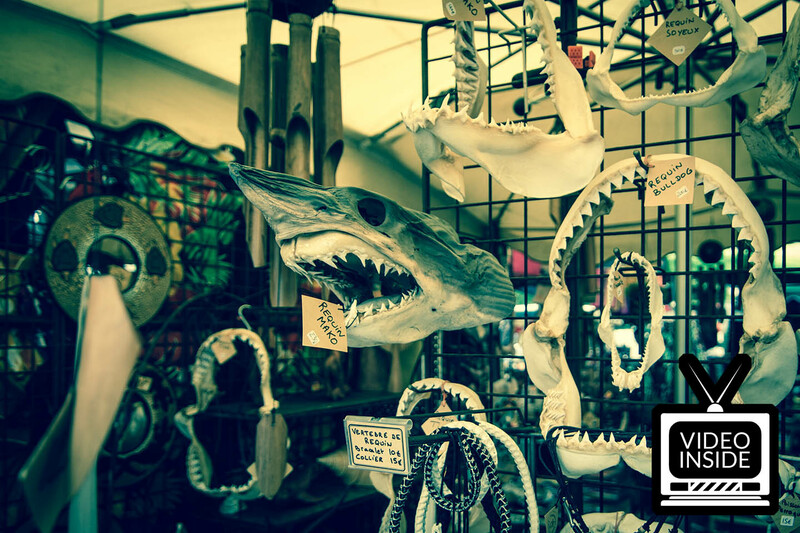 Others bring it down to the point that since 1999, due to the risk of food poisoning, the commercialization of sharks is banned, leading to an increasing number of individuals. There are also rumors that local slaughterhouses have been dumping there fleshly wastes into the ocean. No question what a great attraction that would be to a shark. Whatever it is that leds to the attacks, killing sharks is nothing more than a rapid action by a government under public pressure and will not help to solve the problem. Meanwhile media coverage is adding more fuel to the fire by showing empty beaches and line ups with swimmers and surfers being afraid of going into the water. But keep in mind that there are still many protected lagoons like L'Ermitage and St. Pierre or sea-water pools like Bocan Canot and Grand Anse that are safe and fun places to go and enjoy the ocean. This is something the press is not telling you. In 2013 a number of 300 surfers protested in front of a governmental building to enforce immediate actions and start killing a large number of sharks. Being a surfer and waterman myself I can definitely understand of what it feels like to not be able to surf. But I clearly dissociate myself from these people. As surfers we are the intruder to the sharks world with no legitimation at all to claim this territory for us. We have to find a constructive discussion and solution to this problem. A good example and a positive approach was given by Shark Shield, a company selling shark defending devices based on electrical impulses. They offered 300 devices with a reduction of 200 USD to La Réunion's surfers. It's not a bullet proof system and will still set you back 399 USD but definitely a step into the right direction. UPDATE 16 MAR 2014: We had a very fruitful discussion with Océan Prévention Réunion and a member of the Surfrider Foundation La Réunion. Ocean Prévention Réunion is an organization fighting for a balanced ecosystem. According to the current shark problem they came up with a system, similar to the one used in South Africa. A permanent fishing line with smart buoy floating on the surface sets off an alert when a shark is caught. Shortly after, the shark is freed from the hook and released back to the open ocean. Keeping in mind that it has been caught, the shark will then avoid this area. The system is already in the water and more than 10 sharks have been caught of which about 92 % survived. Unfortunately some members are convinced that tiger and bull shark should still be killed. A member from the Surfrider Foundation of La Réunion was able to give us some insights on the whole problem. According to him, the surfers protest calling for action was more of a imprudent act by a few surfers, whose friend had been seriously injured by a shark shortly before. Others surfers followed, not because they were in favor of the culling, but rather demanded some sort of action. The Surfrider Foundation seems not to be in 100% favor of the system used by Océan Prévention Réuinion, but is interested in joined forces and a collection of more data on the problem. The guy we talked to made a very good point when he said, that right now every surfer and watermen is fighting to get back into the water. But this somehow overshadows the real problem of water pollution and our overall treatment of the ocean, that takes its part in the current situation. 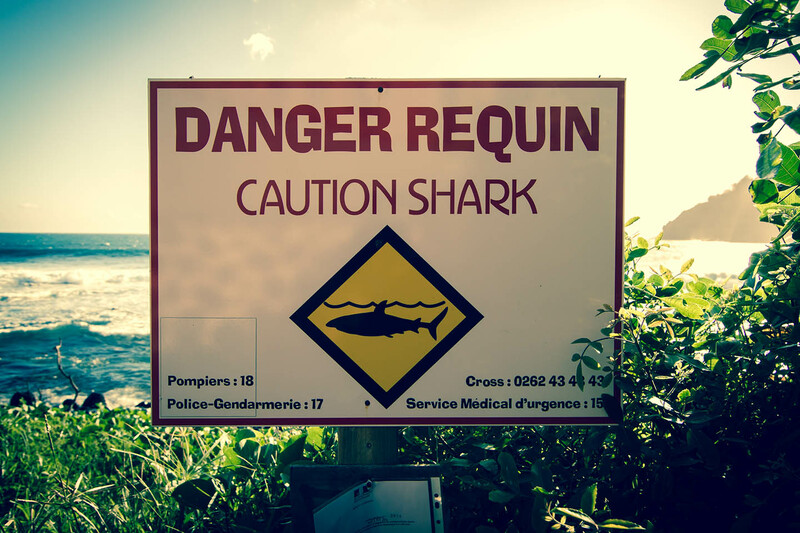 Before the shark problem came up, La Réunion waters have been infected with streptococcus, a bacteria that can be harmful to human and animals. While we are writing these lines the lagoon of L'Ermitage has been closed for swimmers, because of dead fishes washed to the shore for unknown reason. We think that a long term solution to all these problems will not come around a drastically change on how we treat the ocean. There would be no need for human interference if it wasn't us, who brought the system out of balance. To regain balance it is not upon us to decide on who has the right to survive and in which number. It is upon us to generate circumstances, that will give nature the chance to gain back its own balance. Most people are not afraid of becoming a shark victim themselves. What they are afraid of and what is putting so much pressure on the government are the negative headlines and the impact on the islands reputation as an amazing tourist destination, that an increasing number of shark attacks will have. Except for one accident all attacks have been on surfers. By their careless behavior a whole industry is brought into a difficult situation. There will not be a fast and easy solution to this problem. We came up with a 3 step plan that might help to keep the numbers of attacks down. This would reduce the public pressure on the government and the call for rapid actions. Surfers will not stop surfing no matter how dangerous it gets. I am a surfer myself so I know what I am talking about. To take the surfer out of the sharks target zone, it is important to establish an effective warning system for the major surfing beaches. 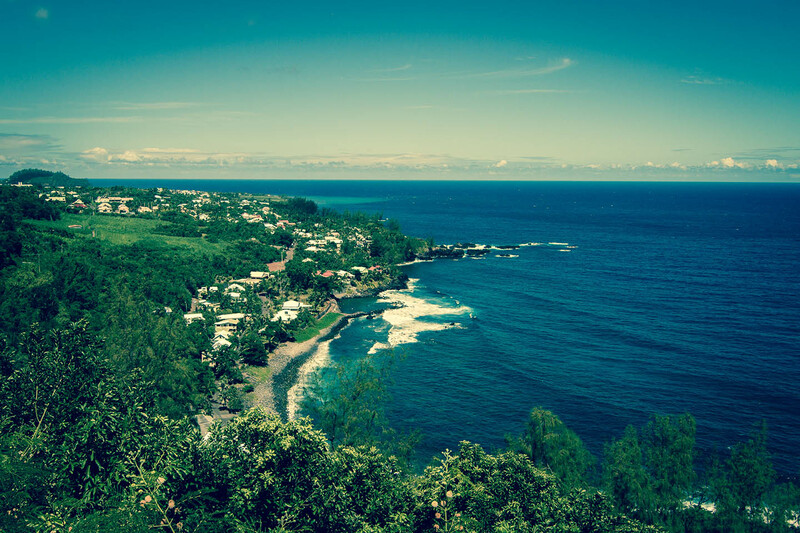 St. Leu is probably home of the most famous wave on the island, so we will focus on that. When we thought about beach patrols and look-outs it came to our mind, that pretty much all year around and all day long, there are dozens of paragliders circling above the reef. We could imagine no better location to spot a shark than this. We found a way to make the paragliders aware of this problem and help to make the beaches a safer place. Secondly it is scientifically proven that a specific paint job on the bottom of a surfboard will help to prevent shark attacks. Some surfers on La Réunion are aware of this fact and already use this technique. We want to make this a common knowledge and make it easy to get your board painted. We will set up an instruction video on how it works and how to do it by yourself. Further we will organize events where surfers can get their board painted for free to spread the news. Last but not least is what we are doing right now: Get people informed. The more they know about this issue, the more they become aware, that their personal action is putting sharks on the death list. At least half of all accidents could have been prevented following the simple rules we stated in this article. 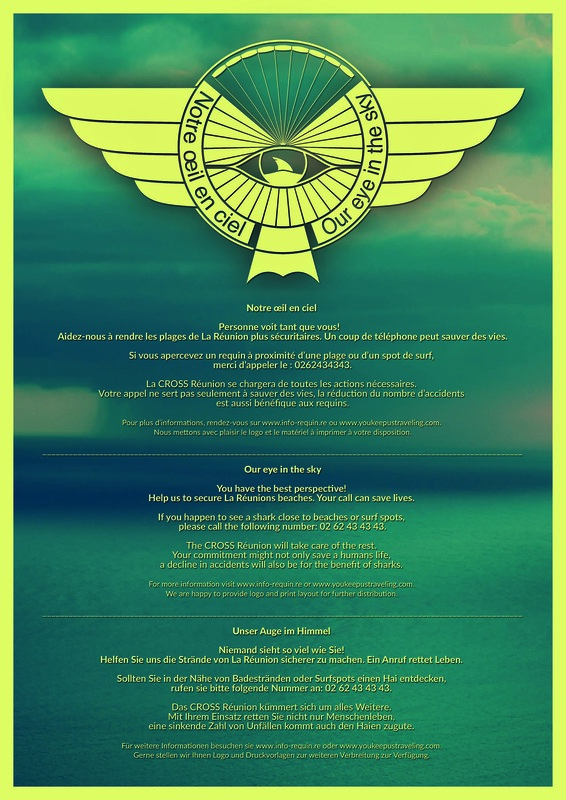 UPDATE 30 MAR 2014: We finished the work on the paraglider flyer and started distribution. 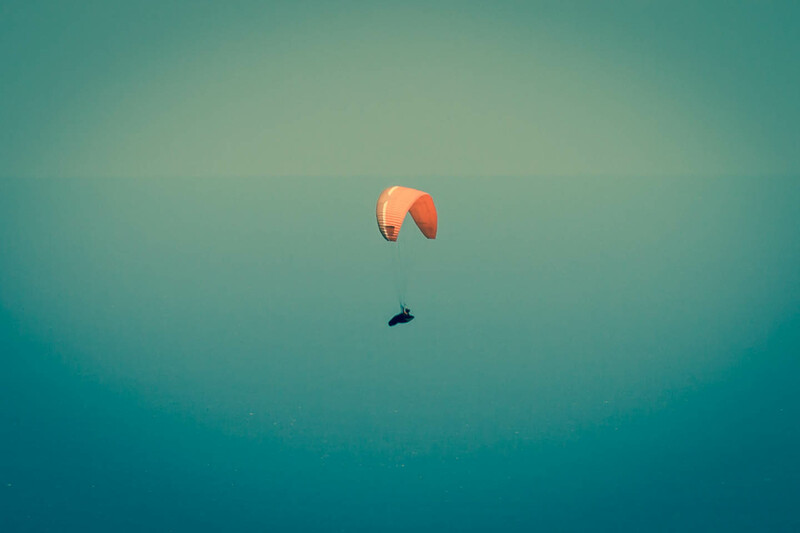 It is addressed to the many paraglider hovering over the surf spots and beaches, asking them to watch out for sharks and report them. With the support of Alex Platt, Catherine Duman, Hind Ben Othman and Naciye Özsu we managed to get a very nice french translation, thank you all. The handout below has a DIN A4 format, so don't bother if you can't read the small lines. We are more than happy to provide you with a copy. UPDATE 10 APRIL 2014: We finished step one. We teamed up with paragliding schools and clubs, put up flyers, wrote mails, made calls and had lots of talks to distribute our flyer. Feedback has been great, everyone was more than happy to support us. Watch and share the video below. It will help us to spread the idea. UPDATE 05 MAI 2014: Our tutorial video on how to paint a surfboard with shark repelling stripes is online. It gives a step by step instruction on how to prepare your surfboard, which colors and brands are ecological friendly and will resist saltwater and UV light. Painting your board will only take about 1 hour and cost you no more than 10 euros. It is not a bullet proof system, but might help to reduce the number of shark attacks. For me as a surfer the ocean is part of my life. This involves all creatures living in this habitant, not only the cute ones like turtles, dolphins and seahorses, but also the ones dangerous to me. Going for a surf is on my own risk and for any accident that will happen, there is no one to blame than me. La Réunion is facing a big task to solve a problem with so many different parties and interests. Our ideas are just a small step, but anything that will stop the planned culling is a step into the right direction. And one thing is for sure, as hard as La Réunion is trying to not be the island with the most shark attacks, being the island with the most sharks getting killed will put it into no better position.